Rear Belted Seat for Three Passengers and Have a Wider Bed Too! 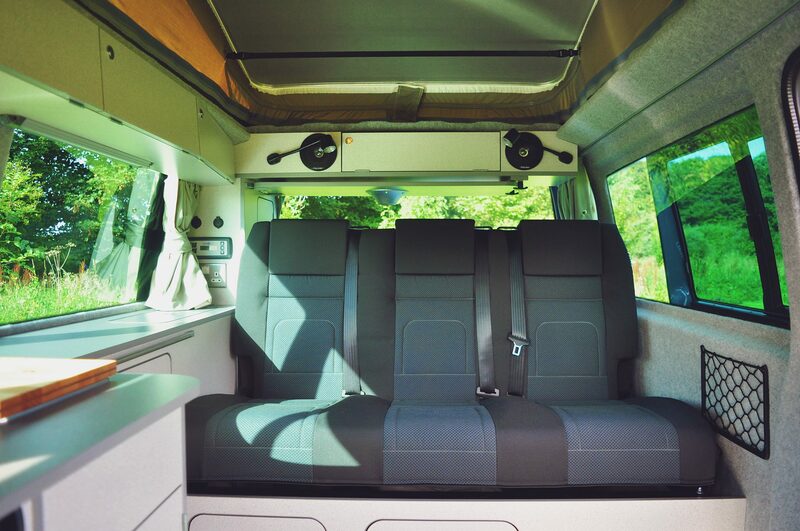 With only a few minor changes in the Tiree, widening the rear seat from two passengers to three is a straight forward option – meaning you can carry five people in seats that are all fully tested to full European standards (and also give yourself a wider bed!). 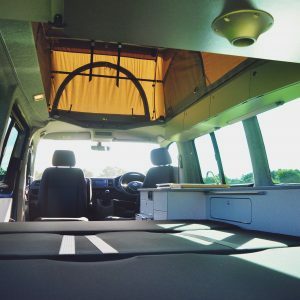 The seat width would increase from our standard 120cm (4ft) in the Tiree to 129cm (4ft 3”) and give you a double bed that is still 186cm (6ft 1”) long – with the other option of also still increasing that to 199cm (6ft 6”) click here for more details on bed length. 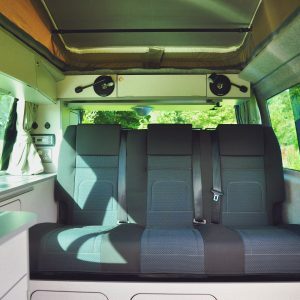 All our rear seats, including the fixation kits we have designed to install them, have been fully safety tested within an actual T5/T6 vehicle to full European standards. 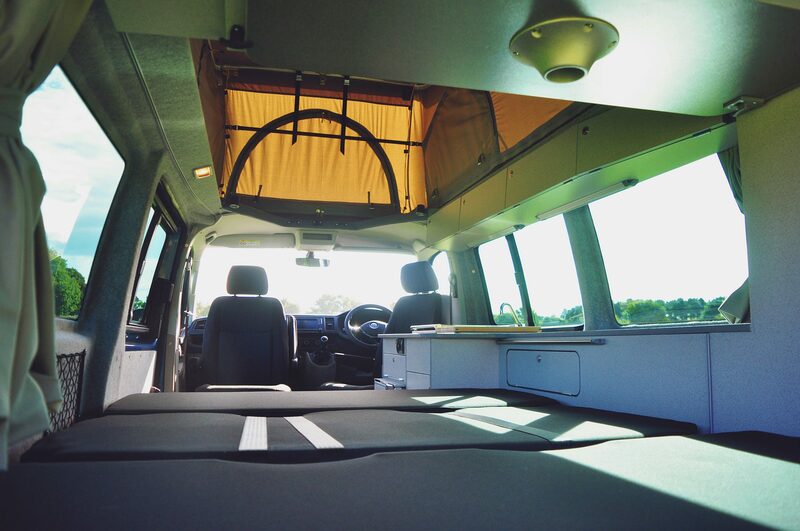 Jerba Campervans is one of very few UK camper conversion companies to, with the support of Volkswagen, have achieved National Small Series Type Approval for its VW T6 campervans – this is the highest level of European vehicle safety testing. To see the actual tests we undertook and understand more about the Type Approval process just click here. Increasing the width of your rear Tiree seat does have a small impact upon the furniture units alongside the driver’s side of the conversion. The wider seat does mean a slightly narrower counter towards the rear of the campervan, so it is only possible to fit a smaller sink with a hardwood top and tap located on the counter top, not the smoke glass lid sink with integrated tap that is normally found in our Tiree. You will also have a little less width to the side lower cupboard storage but more storage under the rear seat and slightly wider boot space instead.